Home>> Blogs>> What does LVR mean? What does LVR stand for? How does that affect me getting a mortgage? How are the LVR restrictions enforced? LVR stands for Loan to Value Ratio. In real terms it is saying, how much am I borrowing as a proportion of the value of my property. 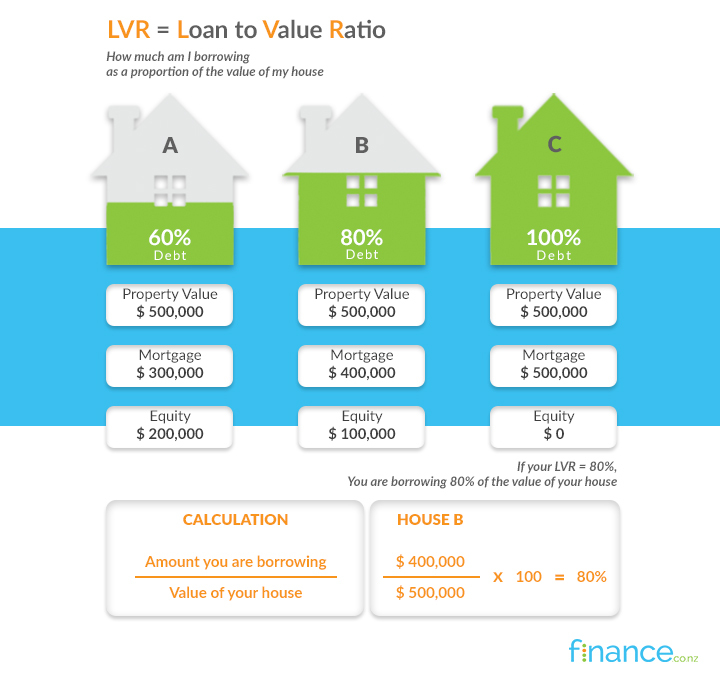 If your LVR is 80% it means you are borrowing 80% of the value of your home. When you hear someone talking about having a high LVR, that means they are borrowing more than 80% of the value of their home. So if your home cost $500,000 and you borrowed $450,000 (which equates to 90% LVR) you would be deemed to have a high LVR. If you are buying a home you will generally need at least a 20% deposit in order to get a bank to lend you the rest. If you are a residential property investor you will generally need at least a 40% deposit in order to get the bank to lend you the rest. 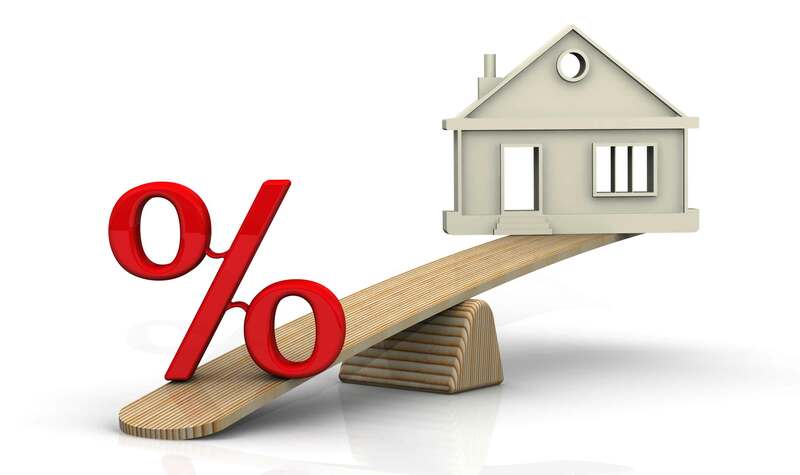 Mortgage providers will offer you better home loan rates the lower your LVR is. This is because when you have a higher equity percentage in your home, you are less likely to default. These restrictions only apply to registered banks. In the New Zealand marketplace there are many finance companies and non bank lenders that are not covered by these restrictions. Although their rates may not be quite as sharp as the banks they are still reasonable and worth considering as a mortgage provider. You can see how competitive non bank lenders are by going to our Home Loans comparison table. You can filter so you only see the types of lenders that suit your individual needs. Yes there are exemptions, amoung others, loans made under Housing New Zealand’s Mortgage Insurance scheme, including the Welcome Home Loan scheme, can be exempt from the Reserve Banks high LVR restrictions. There is a full list of exemptions documented on the Reserve Banks' website. No more than 5 percent of residential mortgage lending to high-LVR (less than 40 percent deposit) borrowers who are investors. LVR restrictions are controlled by The Reserve Bank of New Zealand. Why has the Reserve Bank done this? In a nutshell to make the NZ economy more resilient to shocks like the Global Financial Crisis and give some protection during property cycles. You can read a full history of LVR restrictions and their introduction to New Zealand on the Reserve Banks' website. Have you seen our product guides?